UBC recognizes the academic achievement of outstanding students from around the world by devoting more than $20 million annually to awards, scholarships, and other forms of financial support for international undergraduate students. When you receive an award or scholarship, you join a community of engaged and supportive young leaders who enrich UBC with their diverse perspectives, involvement, and innovation. While studying at a global top 40 university, and North America’s most international university, you’ll have the chance to grow, connect, research, and innovate. UBC offers a wide range of opportunities inside and outside the classroom – from co-ops and undergraduate research to clubs and study abroad – to round out your degree and help you contribute to the university’s thriving community. International Major Entrance Scholarships (IMES) are awarded to exceptional international students entering undergraduate programs at UBC. Students receive their IMES when they enter their first year at UBC, and the scholarships are renewable for up to three additional years of study. The number and level of these scholarships awarded each year vary, depending on available funding. You will be considered for this scholarship shortly after you receive an offer of admission to UBC. We’ll start making scholarship decisions in mid-March 2019. 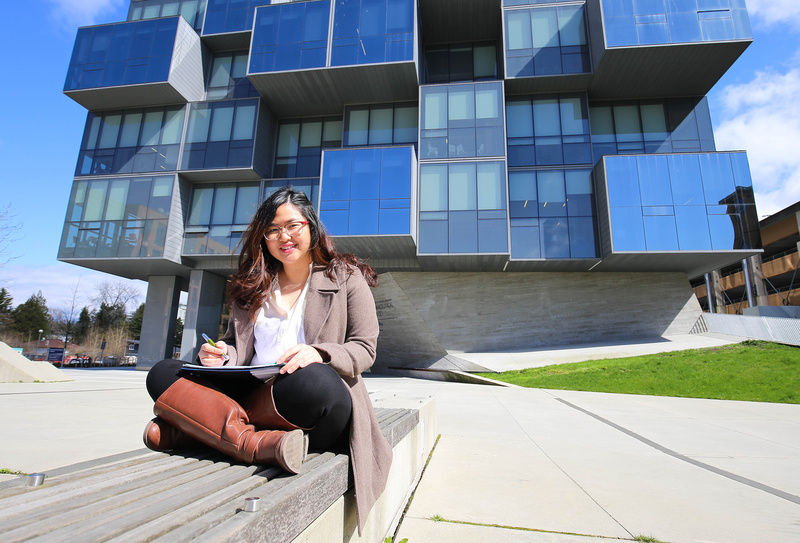 Outstanding International Student Award-winner Angela Sunario was drawn to UBC because of its vast opportunities. When she got here, she was quick to get involved, push her limits, and find meaningful work that tied into her studies. The International Scholars Program brings some of the world’s brightest young undergraduates to UBC. International Scholars earn a globally recognized degree and study with classmates who become part of their vast alumni network. The International Leader of Tomorrow Award recognizes international undergraduate students who demonstrate superior academic achievement, leadership skills, involvement in student affairs and community service, as well as recognized achievement in areas such as performing arts, sports, debating or creative writing, or external academic competitions and examinations. The Donald A. Wehrung International Student Award recognizes outstanding international undergraduate students from impoverished or war-torn areas who have achieved academic excellence under difficult circumstances, and who would be unable to attend university without financial assistance. 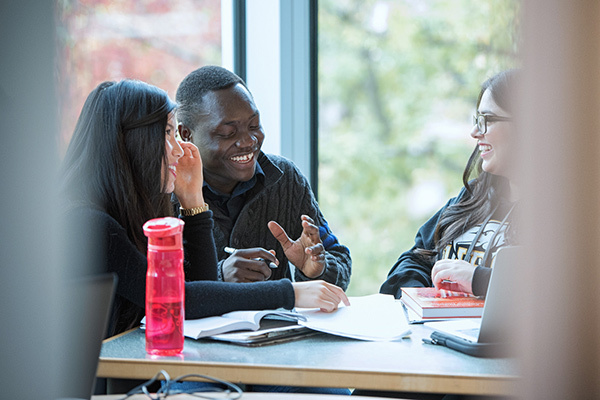 UBC’s Vantage One program is for academically strong international students whose English language proficiency does not yet meet the requirements for direct admission into UBC. Timelines, application processes, and eligibility criteria vary for the different UBC Vantage One awards. Applications are now open for the 2019/20 academic year. University is a significant financial investment that will pay returns for the rest of your life. To get a full picture of what your first year at UBC will cost – including tuition and books, meals and living costs, transportation expenses, and more – enter your details into the UBC cost calculator. You can try as many different calculations as you’d like to help get a breakdown of your first-year costs. UBC continues to support international students through a variety of in-program scholarships and awards. Scholarship and award amounts will vary, as will their renewability.